As my friend Carey Nieuwhof has pointed out, the much-publicized decision of the United States Supreme Court in late June should come as no surprise to followers of Jesus, because it’s foolish of us to expect a secular society to follow Christian principles and practices. We who are old enough to remember what a more ‘Christian’ Canada was like may have more adjusting to do than the younger generation. Just as some young people today are astounded to learn that the world existed before the Internet, some mature followers of Jesus are astounded to learn that we no longer live in a world where Christian principles and practices are universally known and lived out. That’s a challenge for the church going forward, but it’s a challenge the church can meet if it has the will to do so. What will that look like, for us as individual believers? First, it will mean pulling back the reins on judgment of people who aren’t Christians. Years ago, that judgment came out when someone showed up to church not dressed appropriately. Nowadays, that judgment can be unleashed in other ways, but we should refrain from judging, and welcome people who are brave enough to cross the threshold of the church and check us out. Second, it will mean taking the church outside the four walls of the building and into the neighbourhood. As Alan Roxburgh has written in several of his books, the church in the 21st century must become “missional”. That means we don’t go to church, we take the church out into the neighbourhood. We get to know our neighbours, and learn how we can serve them in Jesus’ name. We take God’s love to them, wherever they are and in whatever state they find themselves; we don’t wait for them to come to us. Third, it will mean being more intentional as Christians and as the church at living out God’s Word and his love, since we can’t assume anyone knows anything about the faith. I heard a story last Sunday about an individual who was asked to put on some music at work, and it turned out to be Christmas carols…and it wasn’t Christmas. This person simply didn’t know what Christmas music was; she or he had no Christian background (and, it seems, never visited the mall in December!). By not assuming people know anything about the faith, we can be sharper in our witness and more clear in our expression of God’s truth – with care and concern, not condescension. Living Faith, a statement of faith of The Presbyterian Church in Canada, says this: “…in the spirit of humility, as beggars telling others where food is to be found, we point to life in Christ” (9.2.1). God’s love for the world has always been sacrificial. Though the world around us – right now, anyway – might seem less Christian, God’s love is no less powerful. How will you be the living expression of God’s love today? “Always be prepared to give an answer to everyone who asks you to give the reason for the hope that you have. But do this with gentleness and respect” (1 Peter 3.15b, NIV). If you’re part of a small group of some sort in your church, chances are, you cherish those times with those people. I know I do; my Thursday night LifeConnect Group, while small, is a fantastic group. One of the things I really like about our group is that nobody is afraid to ask questions. And these folks ask really good questions! It was St. Anselm of Canterbury who adopted as his motto, fides quaerens intellectum – “Faith seeking understanding”. I think that could be the motto of my small group, too. It could be the motto of your small group as well! We should never fear asking questions. Often, it’s when we ask questions that, for example, an employer knows we really want to learn something. It’s from asking questions that presumptions and presuppositions are challenged. It’s from asking questions that we get to know other people more deeply. It’s from asking questions that faith is developed. Oh, there are some people who ask questions in an attempt to cast faith in a bad light, but those folks will always exist. But true seekers of God should never be afraid to ask questions – and those who answer them should rejoice that the question was asked, opening the door to further conversation. Do you have questions? Don’t hesitate to ask. Do you have answers? Be sure to provide them in an edifying manner. The last thing we want to do is discourage a questioner simply by the way in which we answer the question. Peter advised the early church that Christ-followers should “[a]lways be prepared to give an answer to everyone who asks you to give the reason for the hope that you have. But do this with gentleness and respect” (1 Peter 3.15, NIV). Many assume that this verse applies to providing a testimony or being ready when someone asks you why you are a Christian, and that’s all true. But I think it can also apply to developing an understanding of the Christian faith in such a way that we are not afraid to ask more questions, and then to be able to provide answers for others. Does your faith seek understanding? Do you ask questions? 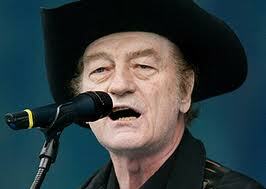 Stompin’ Tom Connors, a popular Canadian musician, died earlier this week. His style was not popular with everyone, but most Canadians know who he was, and the outpouring of sympathy was significant. It was said of Stompin’ Tom that he made a point of writing songs about Canada and Canadians, and that in one sense, he gave us permission to celebrate being Canadian. Whether he was singing about “Bud the spud from the bright red mud” of Prince Edward Island, or “The good ol’ hockey game” that is so near and dear to our hearts, or the sundry things one could undertake “On a Sudbury Saturday night”, there was never any doubt that Stompin’ Tom Connors was Canadian and loved Canada. He may have been one of the first, perhaps alongside Gordon Lightfoot with his Canadian Railroad Trilogy, to open the floodgate of popular Canadian song. Thanks to the likes of Stompin’ Tom, it became acceptable, and even popular, to sing the praises of Canada. While it’s by no means unheard of to sing the praises of our Lord Jesus Christ, it can be seen as somewhat unpopular to do so, especially in a public forum – even in simple ways. I have twice heard Burton Cummings sing the national anthem at a public event, and both times he hummed through the part that says, “God keep our land glorious and free”. (He doesn’t have to believe in God if he doesn’t want to, but the national anthem is the national anthem. End of rant.) My point is that just as we are often reluctant to toot our own horn as Canadians, perhaps too, are we often reluctant to toot our own horn as followers of Christ. Our open-minded society doesn’t want to offend, and there is a sense in which that is a good thing. However, “pluralism”, which is essentially Canada’s stand on religion, does not mean either (a) anything but Christian is okay, or (b) we must water down our proclamation to the point of meaninglessness. No, pluralism means that all religious traditions are to be treated with equal respect, and that each should be reviewed on its own merits. We do not ask a Hindu to water down her faith, nor a Muslim his – so why ask the Christian to do so? In fact, it is mostly the ardent secularists who are asking Christians to water down their faith – not the adherents of other religious traditions. And along with the ardent secularists are some Christians who are afraid to offend. But you know what? We don’t need to be fearful. If anything, we need to be proud of the faith we profess, and not fear sharing it with others. Just like Stompin’ Tom, who proudly sang the praises of Canada and Canadians, we can proudly sing the praises of our Lord Jesus Christ, wearing our faith joyfully. After all, the chances are good that your friends wonder about your walk with God. Why not tell them about it? “[I]f someone asks you about your Christian hope, always be ready to explain it. But do this in a gentle and respectful way” (1 Peter 3.15b-16a, NLT).